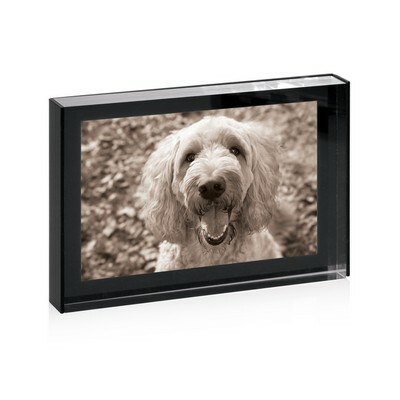 Acrylic Photo Frame. Colours: Black. Decoration Method: Pad Print. Decoration Area: Print: 150 x 100mm. Packaging: Gift Box.